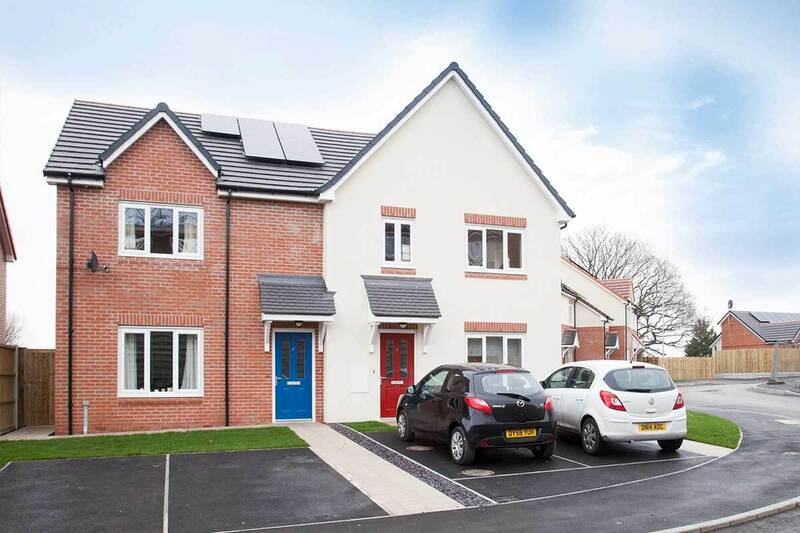 The Tir Glas development is an affordable housing development in Greenfield, Flintshire. 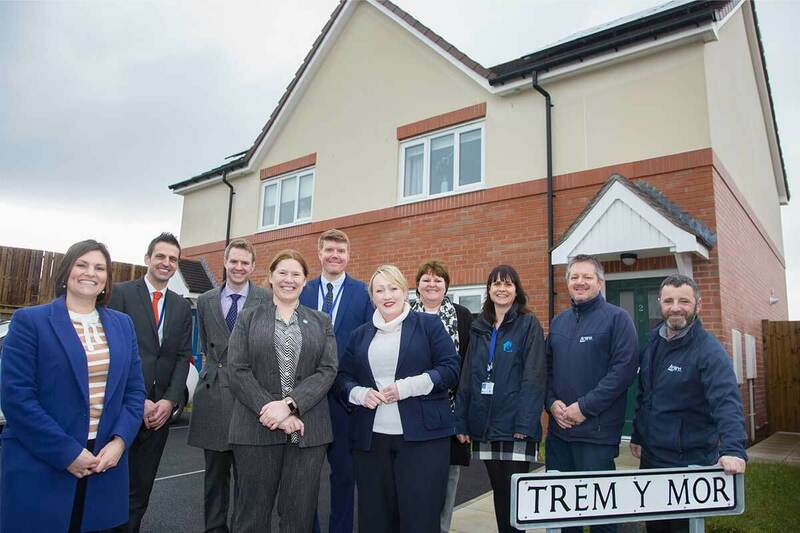 The development which consists of 58 affordable homes was delivered for Wales & West Housing whom Anwyl have worked with over several years on a number of major projects. 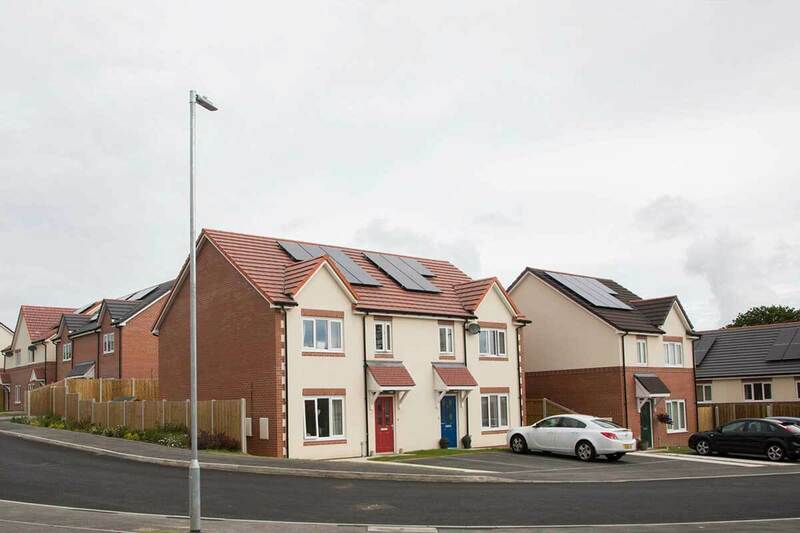 The estate features the 3000th home provided by Wales & West Housing in North Wales and contains 44 houses and 14 apartments. This development consists of 58 affordable homes, 44 houses and 14 apartments, including energy efficient 1,2,3 and 4 bed-homes. Some of the properties have been specifically adapted for wheelchair use and other easily accessible facilities such as low level cookers and other appliances. 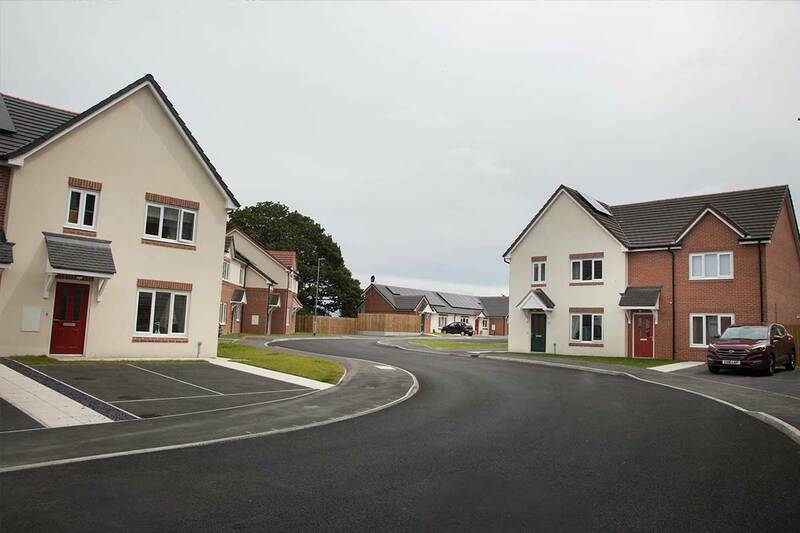 Anwyl Construction has built many affordable homes for Wales & West Housing in North Wales. Tom Anwyl, Director, said: “We have enjoyed a key partnership with WWH over a number of years which has been very important to us and to the construction industry in North Wales. 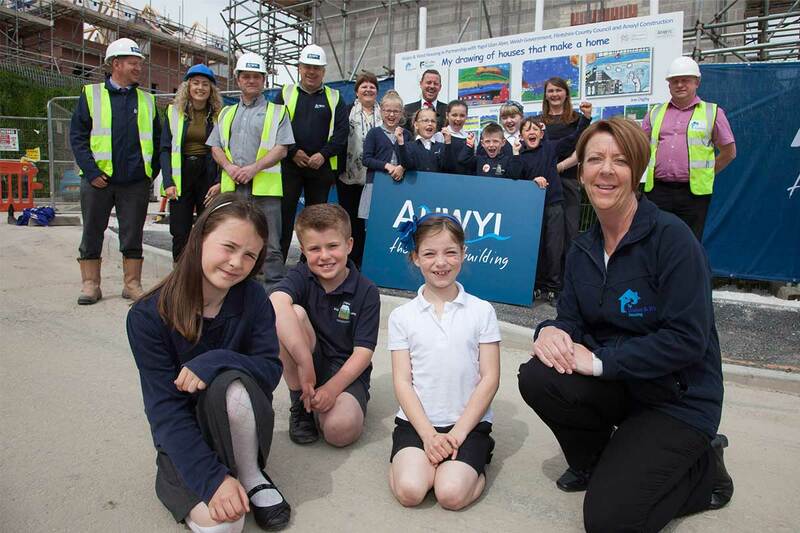 Anwyl invited pupils from schools in the local area to have a look at the site whilst in the development stages. This is part of the company’s strategy of involving the local community in the development, whilst also teaching the children about safety on site. Ysgol Glan Aber Year Five and Six teacher Jade Ashbrook said: “Wales & West Housing and Anwyl have worked really closely with the school to ensure site safety and engage with our pupils in a positive way. It’s vital that we work sustainably and 94% of spend on the project was with businesses in Wales, delivering significant economic benefits and creating employment opportunities. 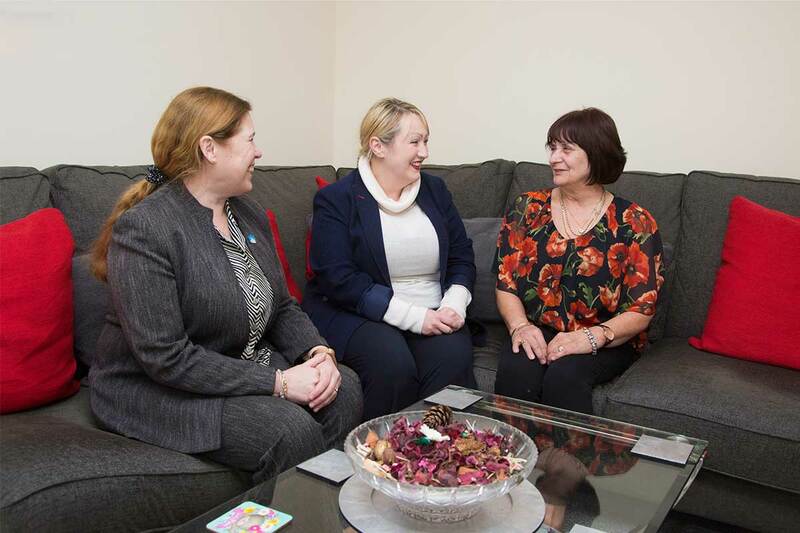 Residents of the housing development met with Rebecca Evans, Wales’ Minister for Housing and Regeneration as they marked a year since moving in. Rebecca visited to see how residents had been settling in since it opened in January 2017. 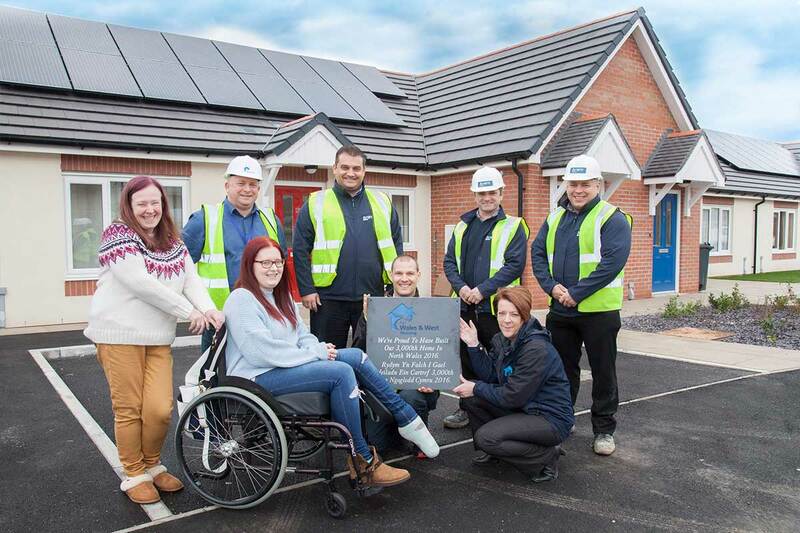 We invest in new affordable homes through our Social Housing Grant to help meet our ambitious target of 20,000 new affordable homes, and because it helps to boost the local economy, creating jobs and apprenticeships. It was fantastic to meet everyone involved in Tir Glas, including the residents who told me how pleased they are with their homes.